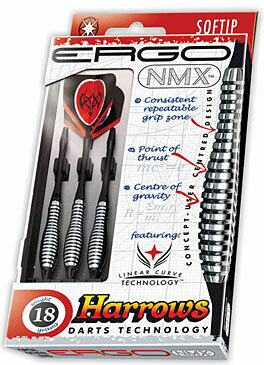 The Ergo NMX range introduces Linear Curve Technology. 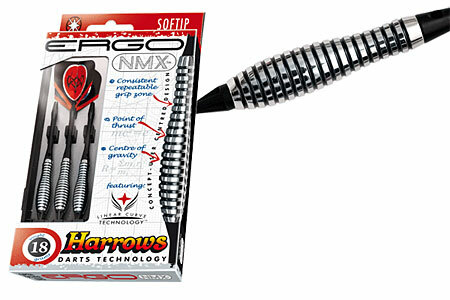 The contoured shape of the barrel gives the player a repeatable grip, for consistent matchplay performance. The location of the centre of balance, combined with a point of thrust directly behind, gives more control over the darts aerodynamic performance - a result of perfect ergonomic design.